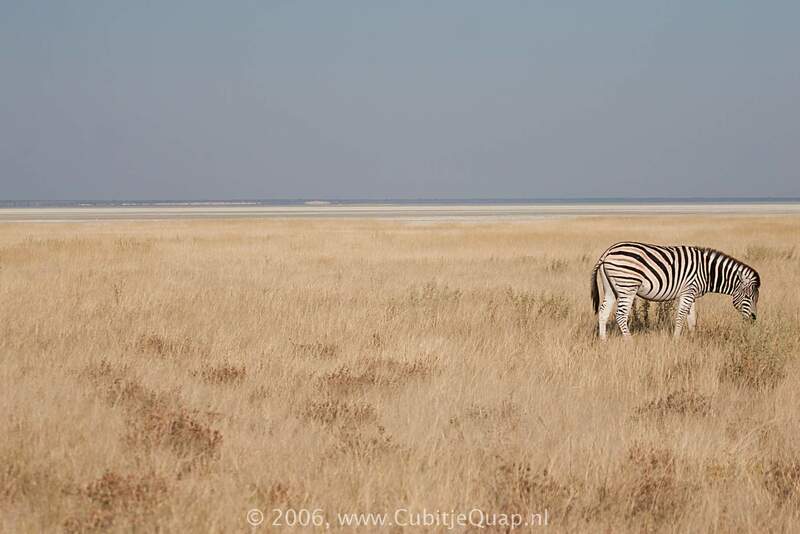 Etosha National Park is about 22,912 km² in size, a little bit bigger than the American state of New Jersey, or 3/4 of the country of Belgium. 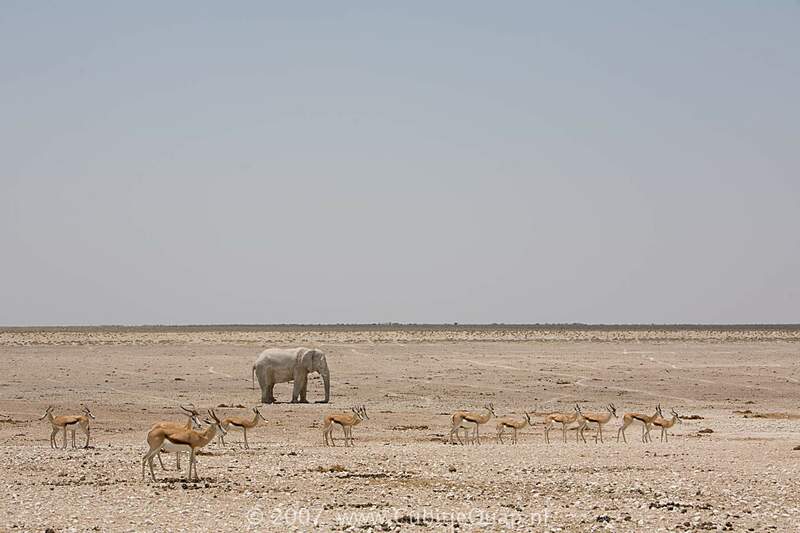 Etosha used to be much bigger, when proclaimed in 1907 it covered an area of about 80,000 km², then the largest game reserve in the world; in size roughly similar to Lake Superior, or a little bit smaller than Ireland. 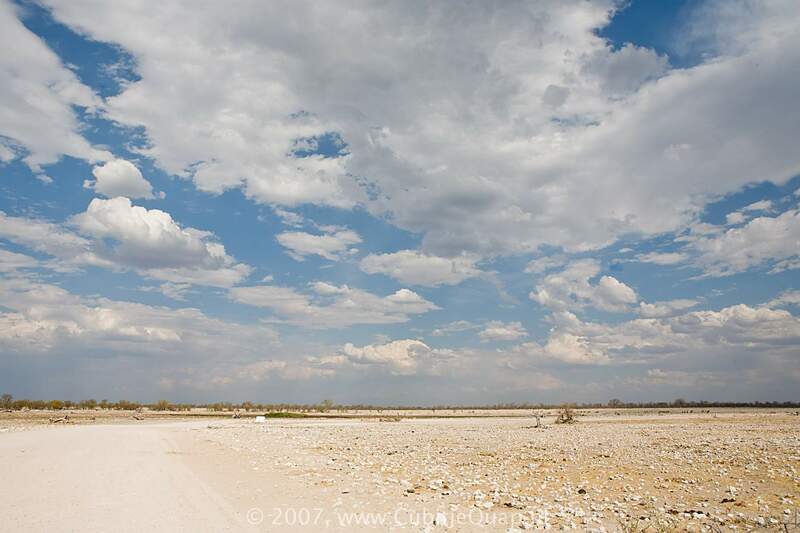 The Park is dominated by the Etosha Pan, a salt pan desert of about 130km long and up to 50km wide. 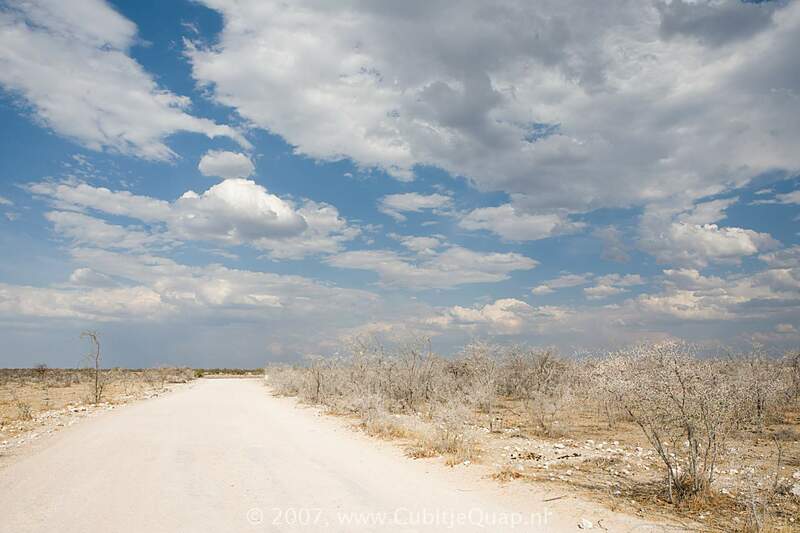 Etosha can be translated as 'Great White Place', 'Land of Dry Water' or 'Place of Mirages'. 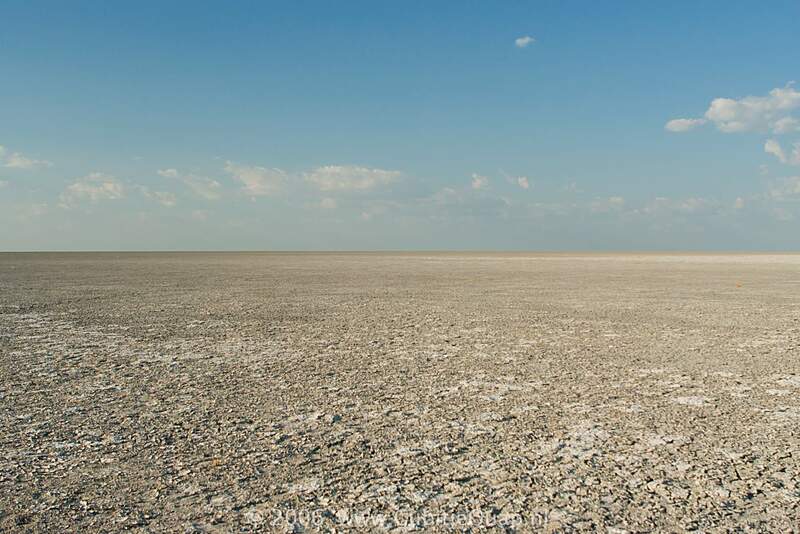 The Etosha Pan is very alkaline, sediment samples have a pH higher than 10, with a sodium content of more than 3%. This attracts the local wildlife, which requires salt in its diet. 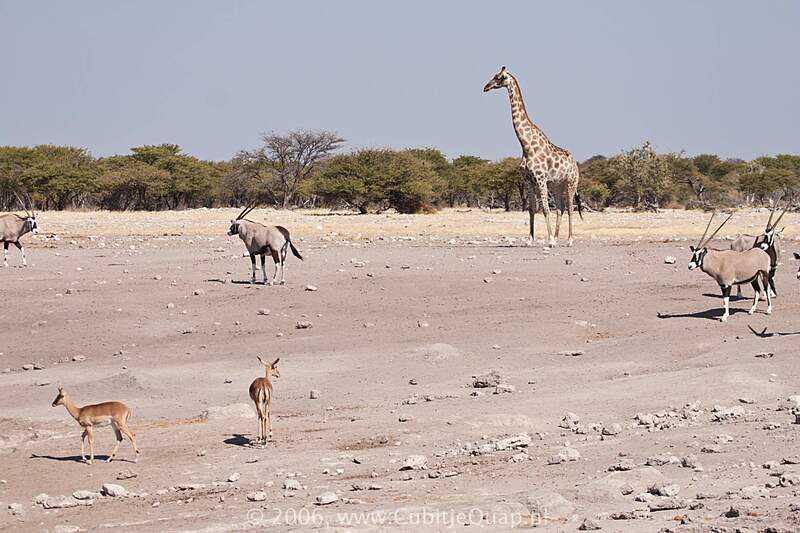 In Etosha some 114 mammal species, 110 reptile species and more than 340 different bird species have been identified. 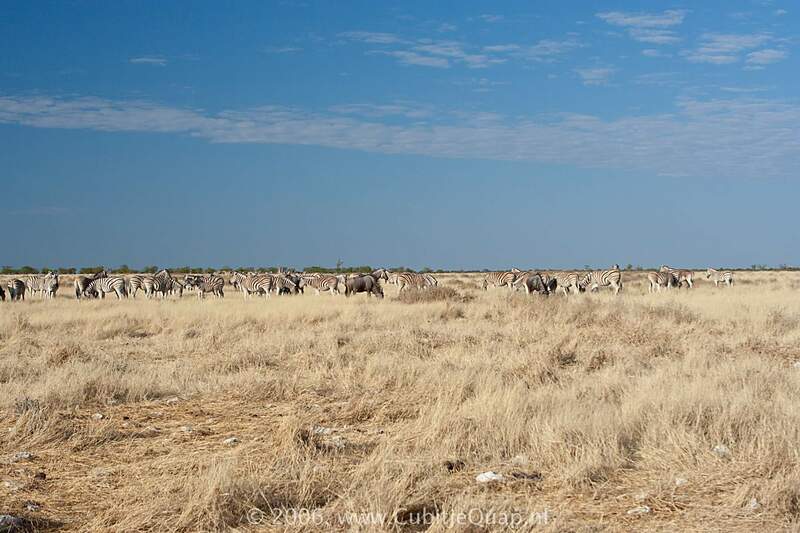 A large portion of the park is either closed to the public or inaccessible by road, which has enabled conservationists to carry out important studies of wildlife. 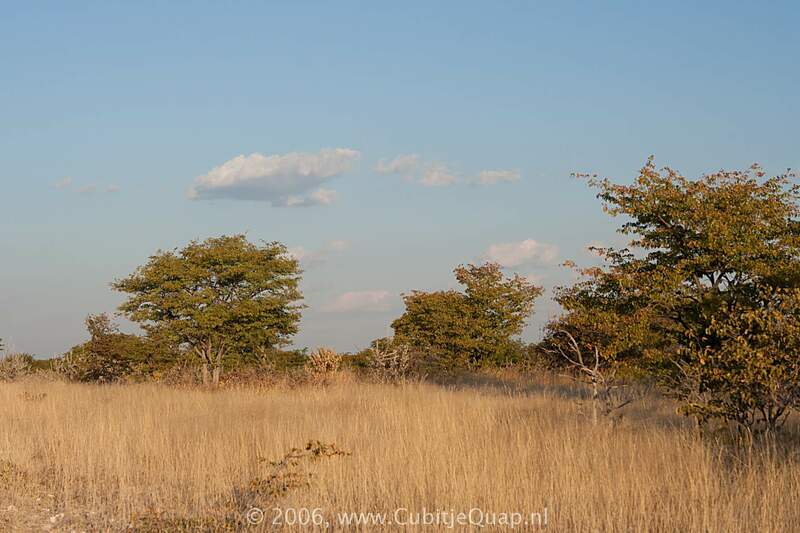 The park has three well appointed rest camps: Okaukuejo, Halali and Namutoni. Each rest camp has a floodlit watering hole, which offers overnight visitors the chance to see good numbers of game in an unusual environment. There is a San legend which tells of a group who strayed into Heiqum lands only to be surrounded by brutal hunters who killed all the men and children. One of the young women rested under a tree with her dead child in her arms; she wept so much that her tears formed a giant lake. 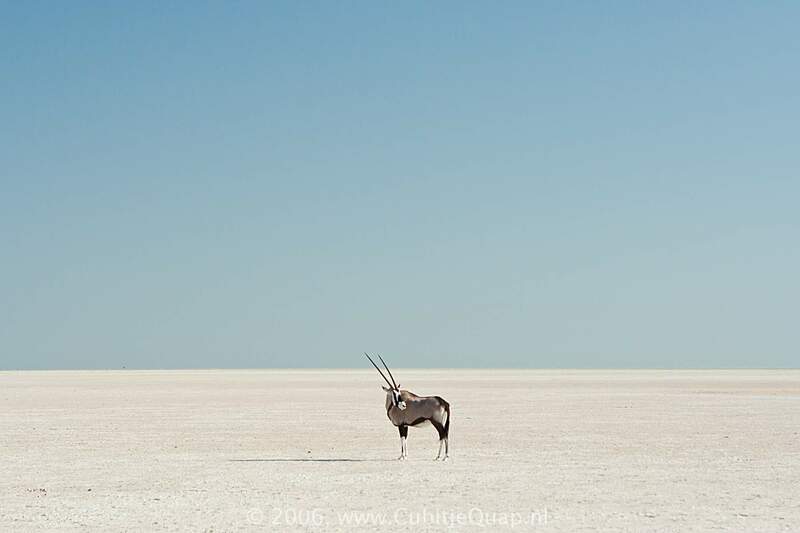 Afer the sun had dried her tears the ground was left covered in salt - and so the Etosha Pan was formed. The first European interference in the region came in the 1890's when the German administration was faced with the rinderpest outbreak. 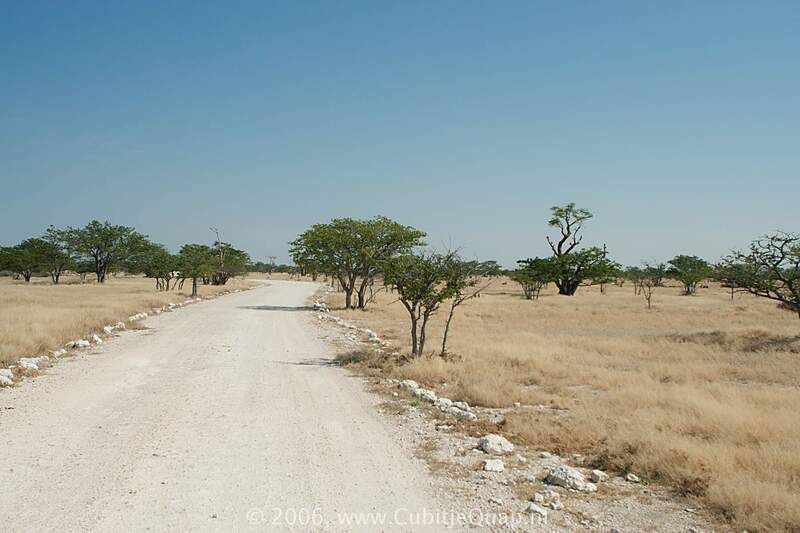 To try and control the spread, a livestock-free buffer zone was established along the southern margins of the pan. In order to enforce the restrictions on the movement of cattle, two small military units were posted in tiny forts at Namutoni and Okaukuejo. The park was created in 1907 by Governor Friedrich von Lindequist. Since its proclamation, the boundaries have been significantly changed on a number of occasions but the park has covered today's area of 22,912 km² since 1970. The German forts at Okaukuejo and Namutoni were converted into police posts to help establish control over Owambo kingdoms to the north. 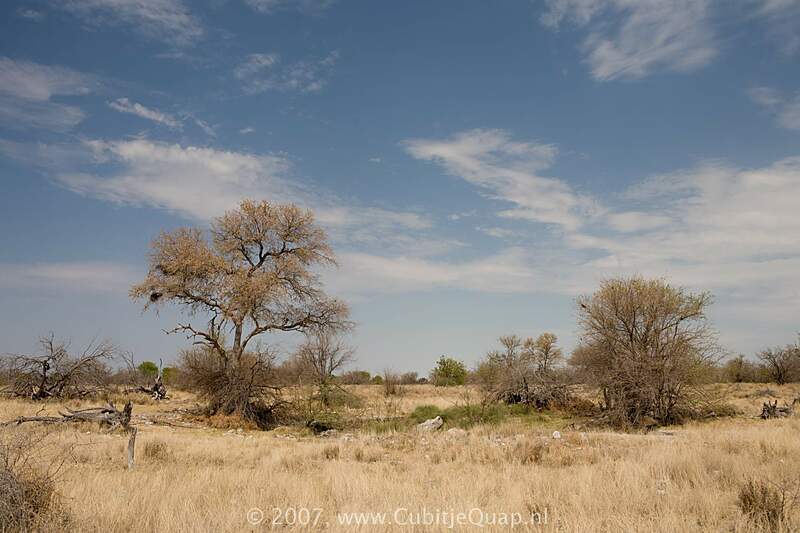 The fort at Namutoni was made famous after it was attacked on 28 January 1904 by several hundred Ndonga warriors serving King Nehale, and was burnt to the ground. The present building at Namutoni dates from 1906 when a new and larger fort was completed. The last troops stationed there surrendered to the South African forces under the command of General Coen Britz on 6 July 1915. In 1957 the fort was restored as a tourist camp. Okaukuejo is the main administrative resort in the Park. It also houses the Ecological Institute from where the research and management of nature conservation are directed. 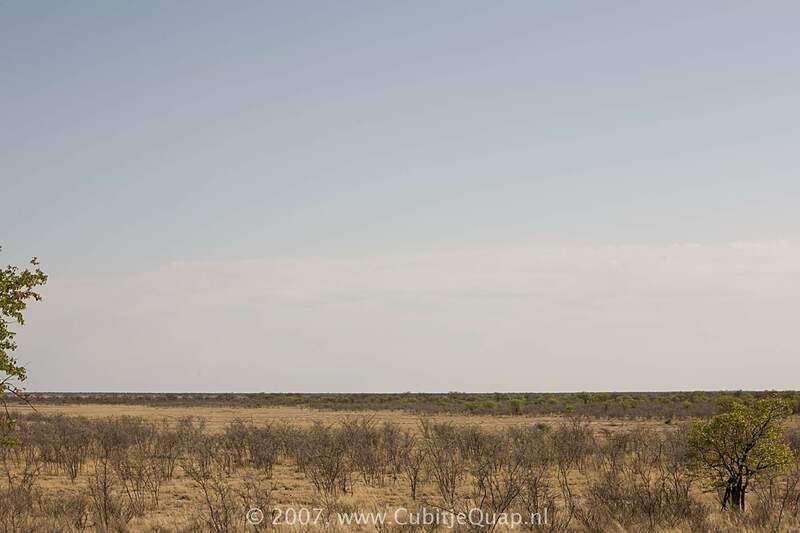 Okaukuejo was a control post after the outbreak of rinderpest in 1897 when the German authoroties threw a cordon across the entire northern part of the country to prevent the spread of the disease. A fortified military outpost was established which was destroyed a few years later after which Okaukuejo was converted to a police post. In 1953 B.J.G. 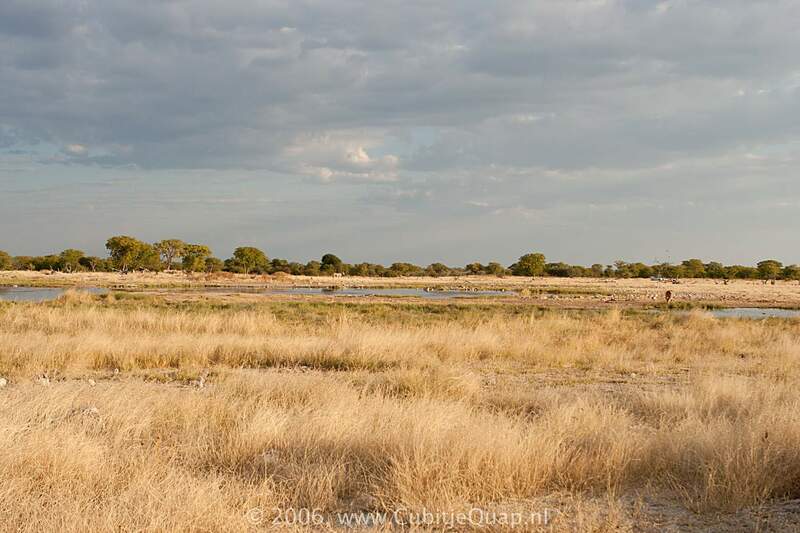 de la Bat, the first game ranger to be stationed at Etosha, arrived. 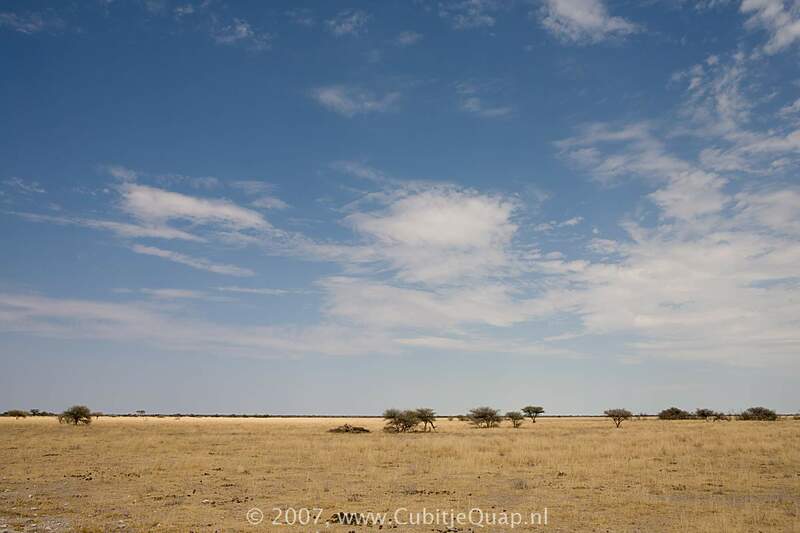 The only inhabitants at that time were Haikom Bushmen, De la Bat subsequently became Director of Nature Conservation and Tourism in Namibia. The name by which Okaukuejo was originally known was Okakwiya, meaning 'The woman who has a child every year'. The word Halali is of German origin and was originally used to signify that the quarry had been brought to bay and that the hunt was over. 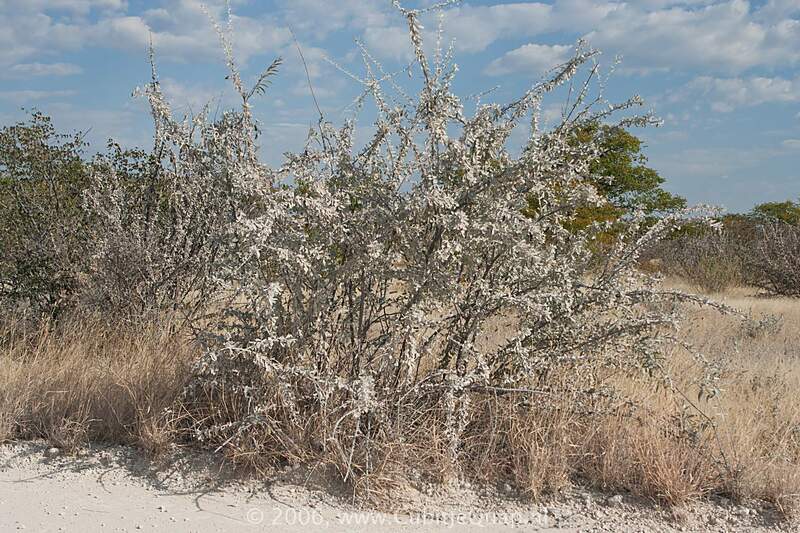 In Etosha the word is used with a different connotation. It signifies that within the Park's borders sport hunting and needless killing of animals is over. 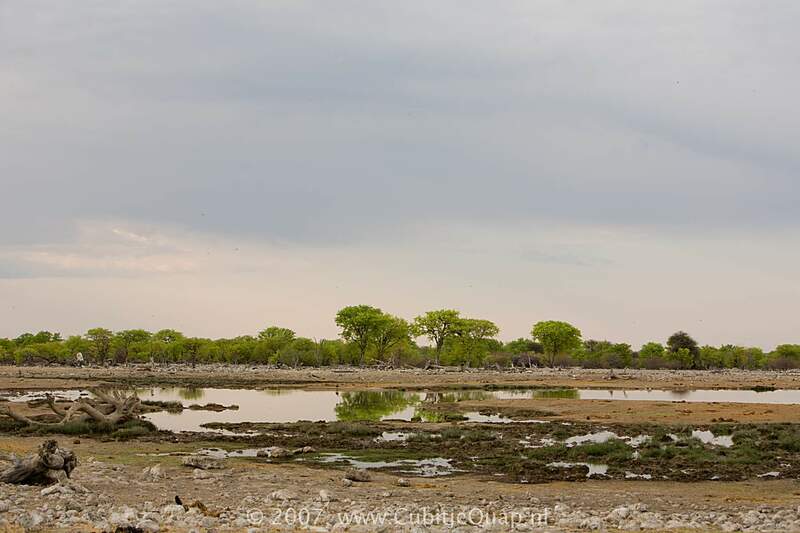 This resort was opened in 1967 and is the newest in Etosha. 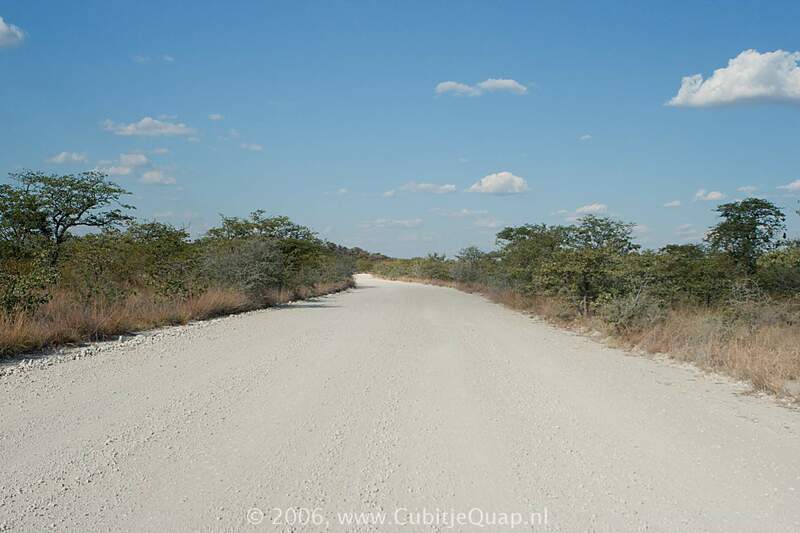 It is situated halfway between Okaukuejo and Namutoni, 8 km from the main road linking these two other resorts. 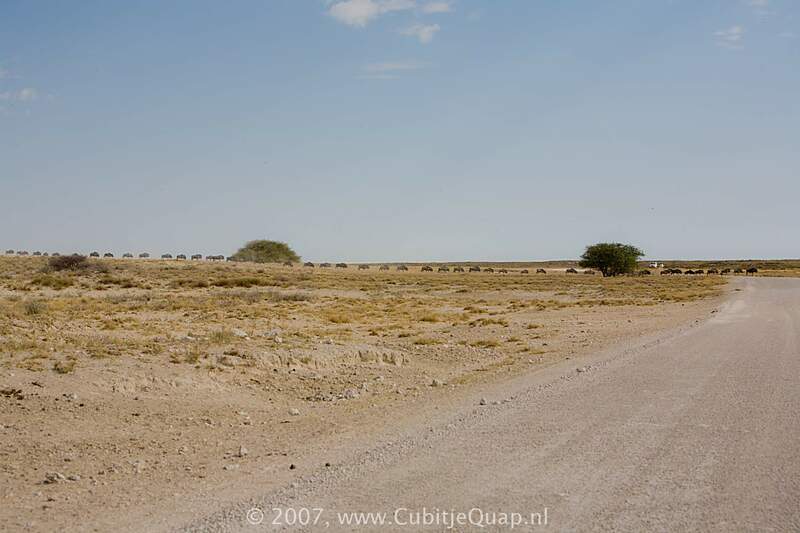 The only hills within the eastern section of Etosha which can be closely viewed by tourists are situated in close proximity to the resort. 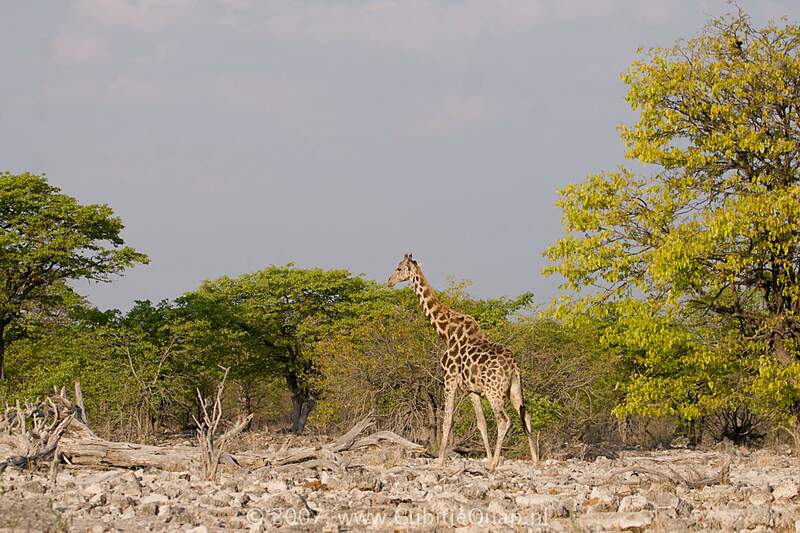 On one of these koppies within the resort is a superb viewing place from which to watch animals at the Moringa Waterhole. The German soldiers operated a heliograph from the top of one of the nearby Helio Hills to signal their comrades at Fort Namutoni and the Helio Waterhole derives its name from this signal station. 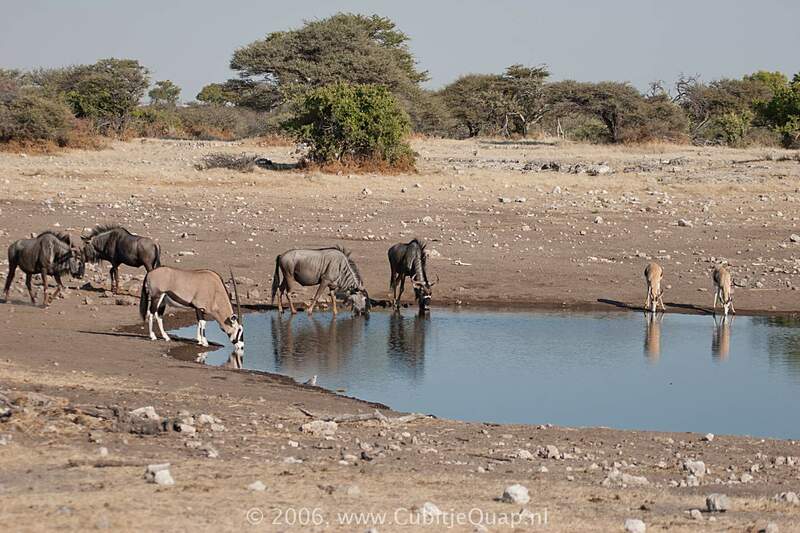 The waterhole in the camp first came to the notice of Europeans as the place where travelers John Andersson and Francis Galton camped at the time that they discovered the Etosha Pan in 1851. From 1897 Namutoni served as a control post during the rinderpest epidemic. When the epidemic abated it remained a frontier post which supervised trade with Owamboland. The fort was built during 1902 and 1903. It was destroyed in 1904 by the Owambos but was rebuilt in the original design in 1906 when First Lieutenant Adolph Fischer took command of the German garrison at Namutoni. 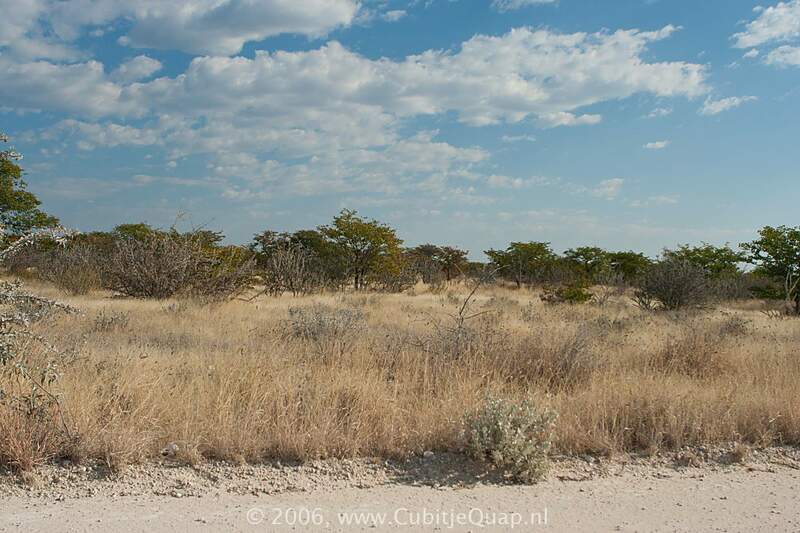 He was later to become the first warden of Etosha. 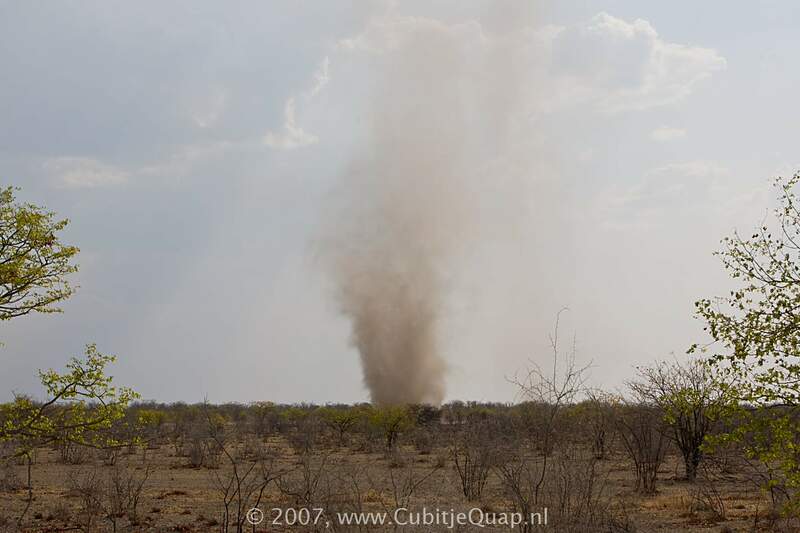 Namutoni was originally called Omutjamatinda in the Herero language to describe 'the strong water coming from a raised place'. Its beautiful fort was declared a national monument in 1950 and the camp was opened to tourists in 1957. 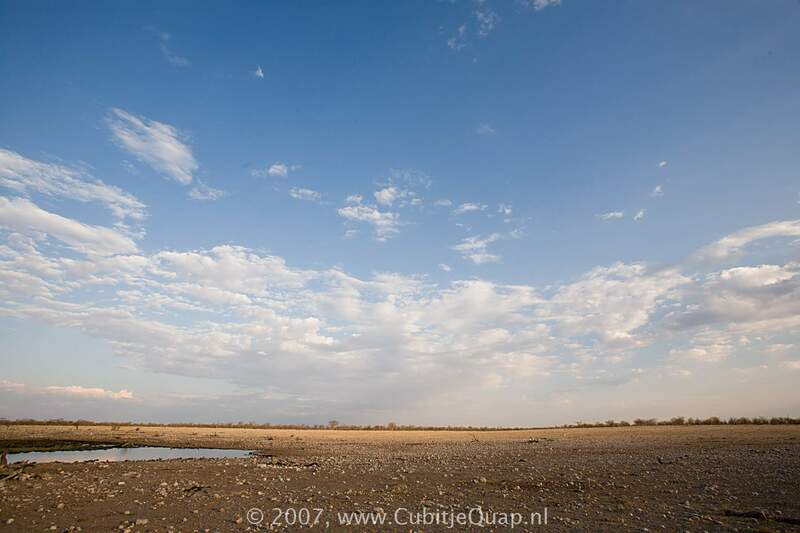 The defining feature of the national park is the huge Etosha Pan, which appears to be the remnant of a large inland lake that was fed by rivers from the north and east. 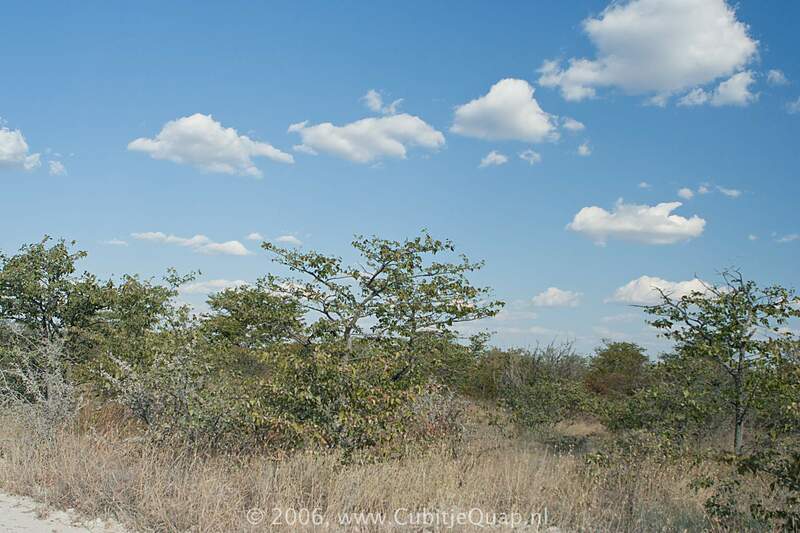 One of these was probably the Kunene, which flowed southeast from the Angolan highlands and into the pan. However, some 12 million years ago continental uplift changed the slope of the land and the course of these tributaries. 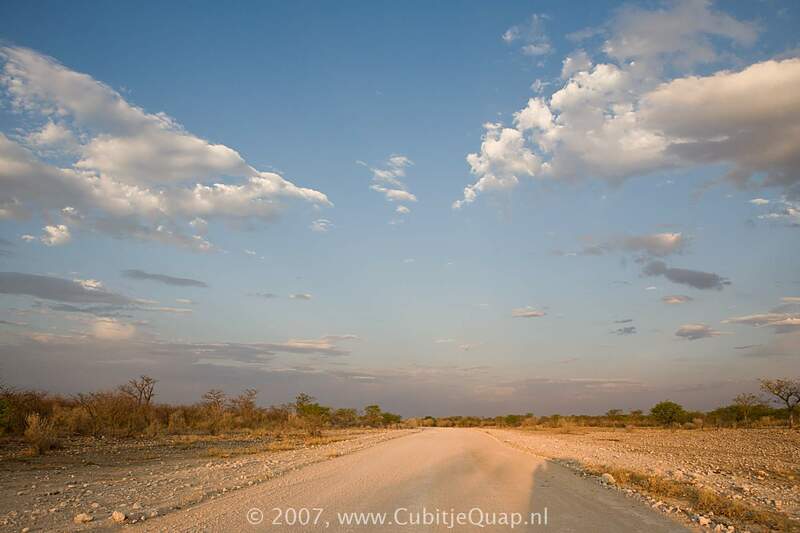 The Kunene now flows west from the Ruacana Falls and into the Atlantic. 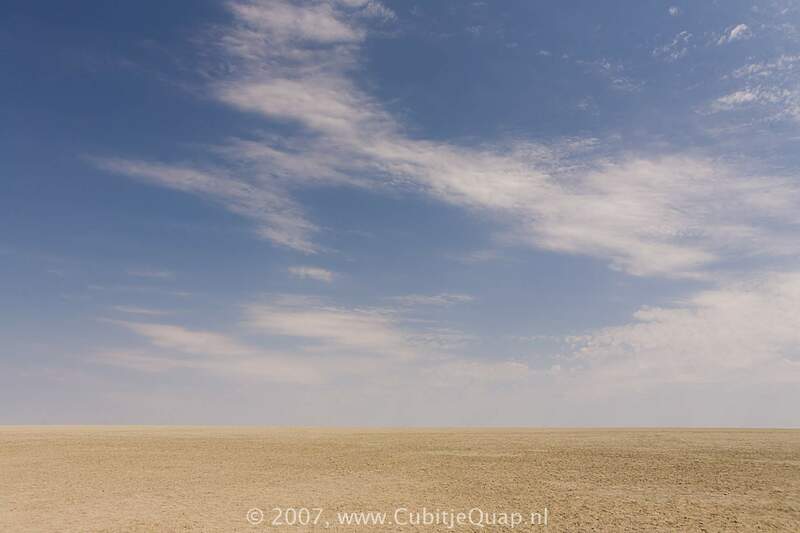 Thus deprived, the lake slowly vanished in the scorching sun, leaving behind only a salty residue. 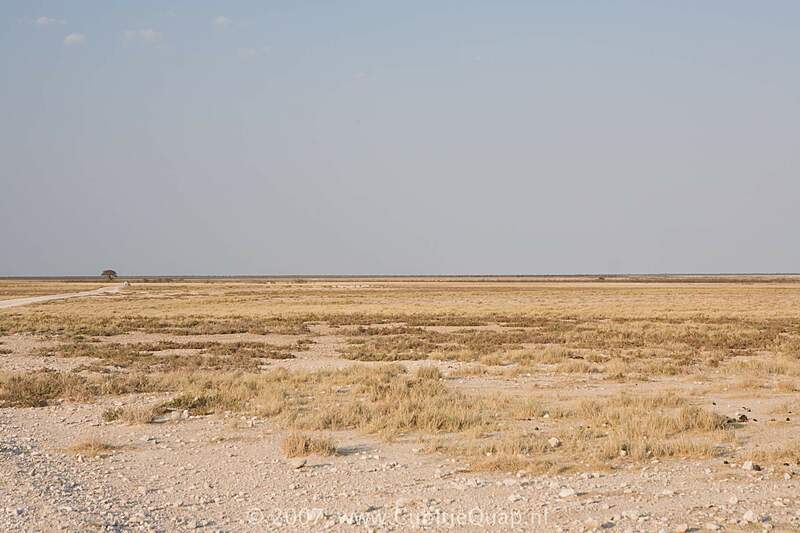 Few plants can grow on this and so erosion by the wind is easy, allowing the pan to be gradually hollowed out. The pan has probably changed little over time. 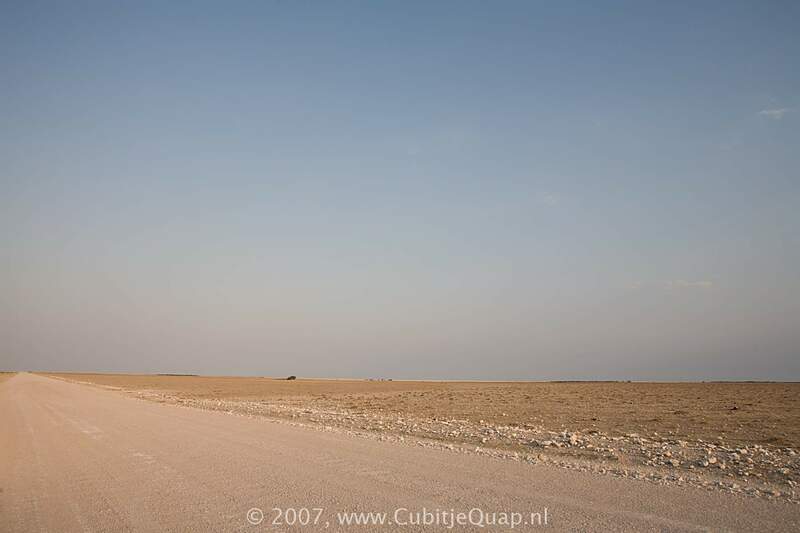 It is roughly 110km from east to west and 60km from north to south, covering an area of 6,133km² (around a quarter of the park's surface) with flat, silvery sand and shimmering heat. 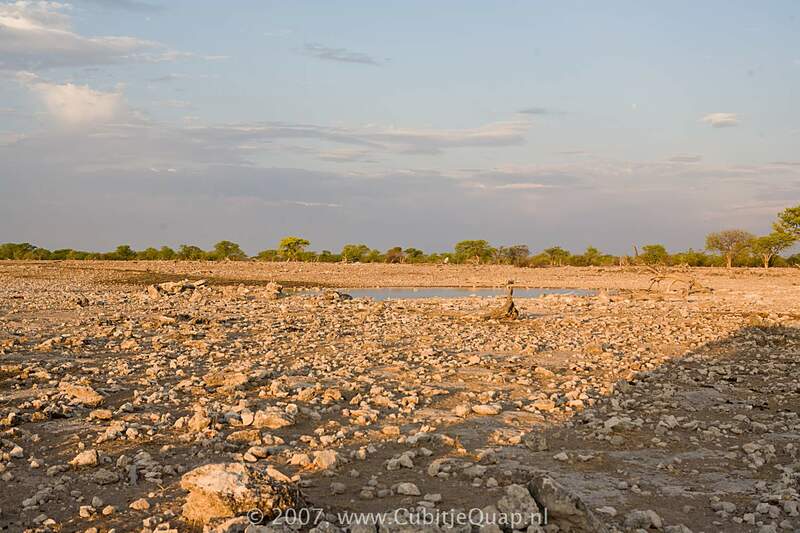 If the rains to the north and east have been good, then the pan will hold water for a few months at the start of the year, thanks mainly to the Ekuma River and Omuramba Owambo. Only very rarely does it fill completely. 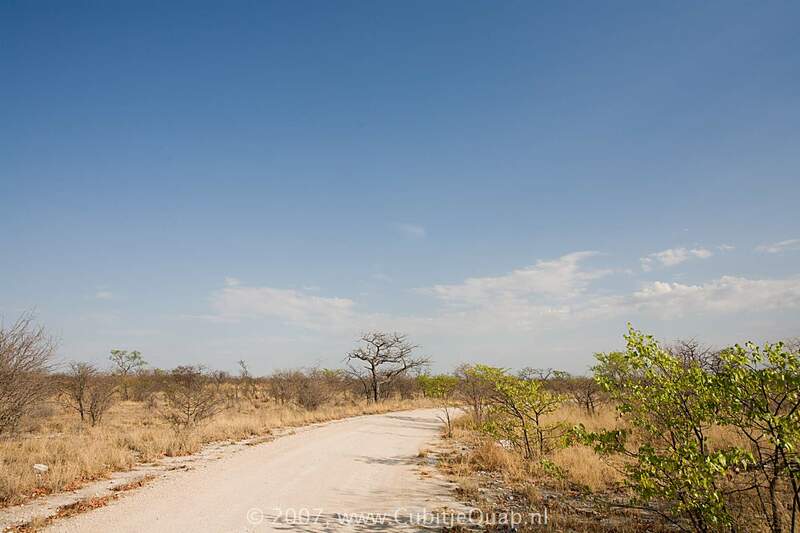 In the rest of the park, beyond the sides of the pan, the terrain is generally flat with a variety of habitats ranging from mopane woodland to wide, open, virtually treeless, plains. In the east of the park, around Namutoni, the attractive makalani palms, Hyphaene ventricosa, are found, often in picturesque groups around waterholes. The small, round fruit of these palms, a favourite food of elephants, is sometimes called vegetable ivory because of its hard white kernel. 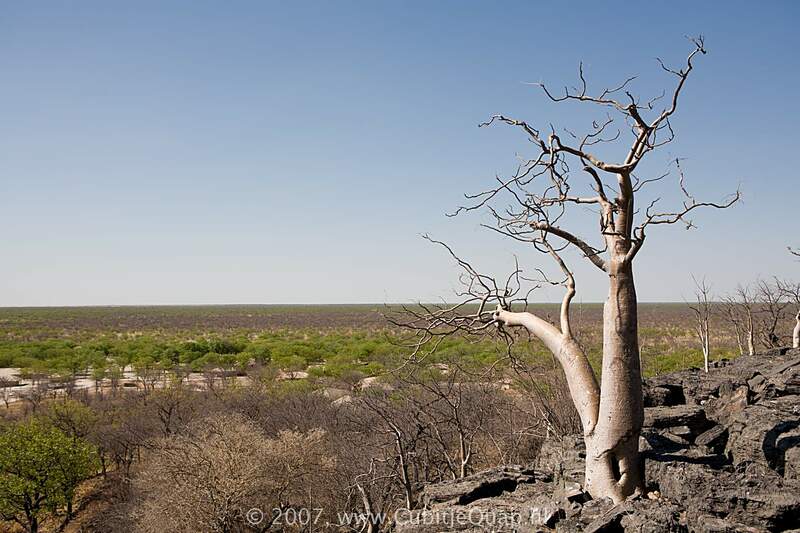 In the west, one of the more unusual areas is the Haunted Forest, Sprokieswoud in Afrikaans, where the contorted forms of strange moringa trees, Moringa ovalifolia, form a weird woodland scene. 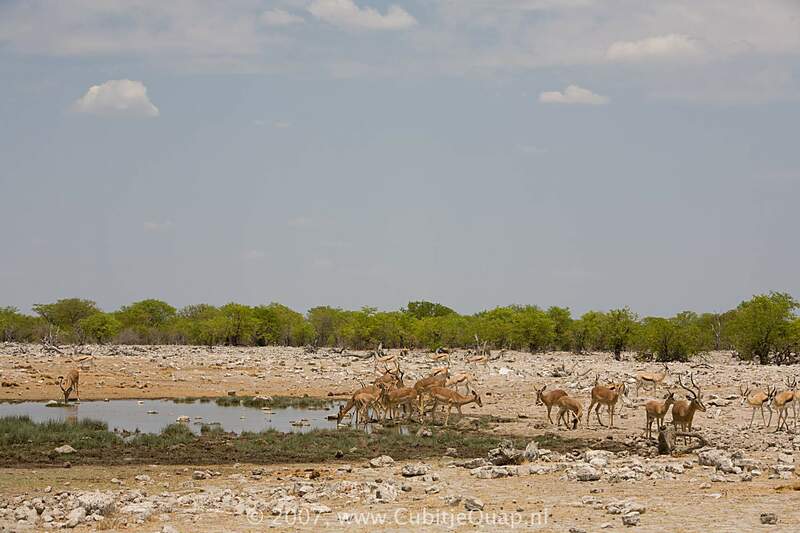 Three types of spring have formed the Etosha waterholes, which differ in both appearance and geology. These occur in situations where two adjacent layers of rock have very different permeabilities. There are many to be seen just on the edge of the pan. Here the water-bearing calcrete comes to an end and the water flows out on to the surface because the underlying layers of clay are impermeable. 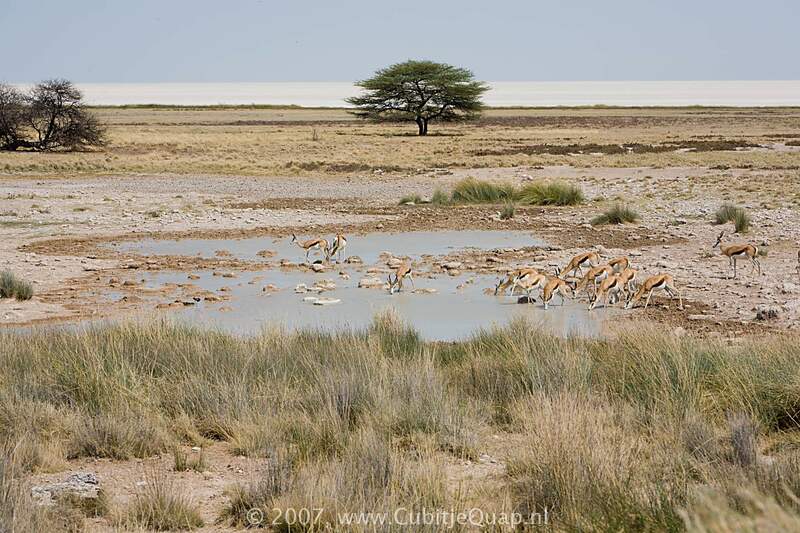 Okerfontein is the best example of this type of spring, which is generally weak in water supply. Found in hollows where the surface of the ground actually cuts below the level of the water table, often in large depressions in the limestone formations. These are inevitably dependent on the level of the water table, and hence vary greatly from year to year. Typical of this type are Ngobib, Groot Okevi and Klein Okevi. 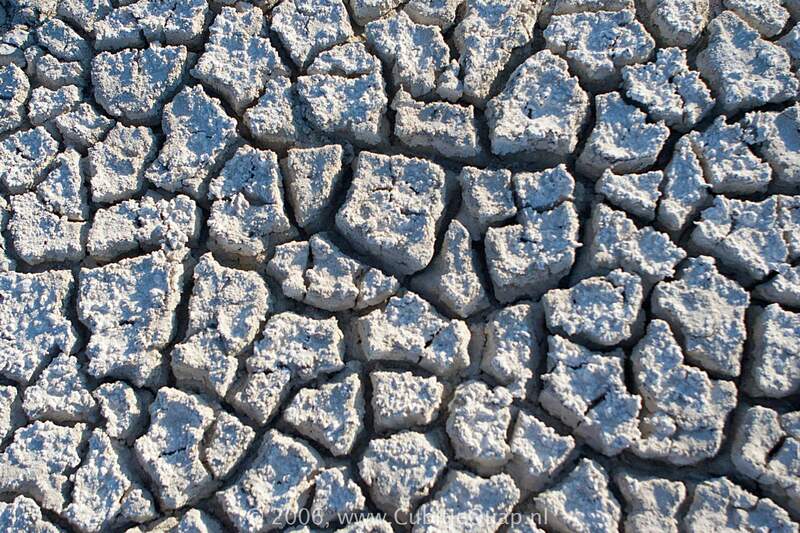 Formed when pressure from overlying rocks forces water up to the surface from deeper aquifers (water-bearing rocks). 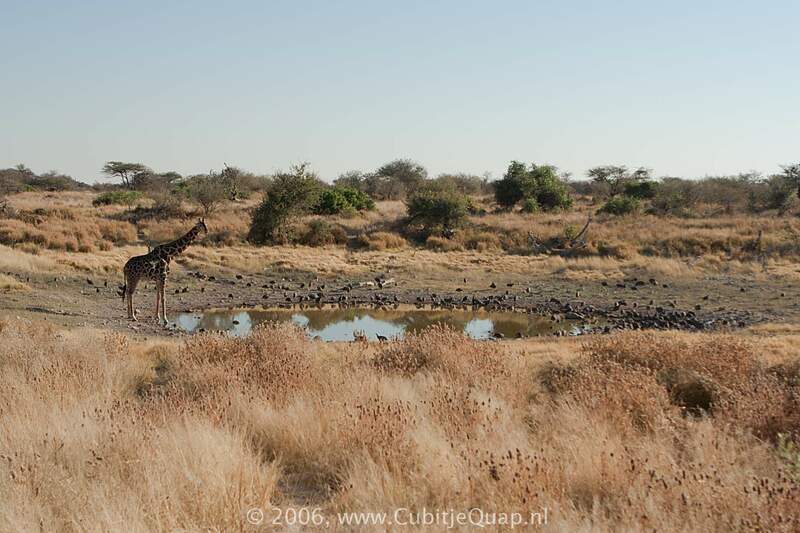 In Etosha they normally occur on limestone hillocks, forming deep pools, which will often have clumps of reeds in their centre. These springs are usually very reliable and include Namutoni, Klein Namutoni, Chudob and Aus. 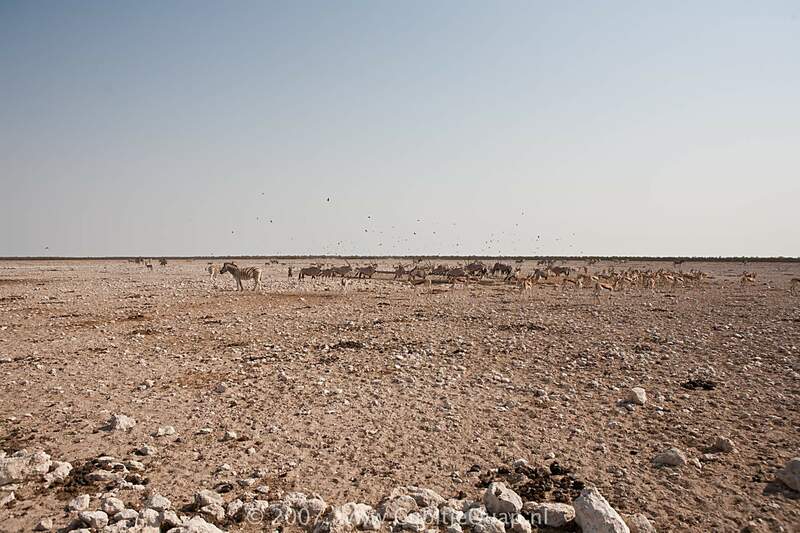 Etosha is home to two antilopes which occur only in northwestern Namibia and accross the border in Angola (where prolonged civil war has left their populations uncertain). Both are easily overlooked - one because it seems familiar, the other due to its diminutive size. 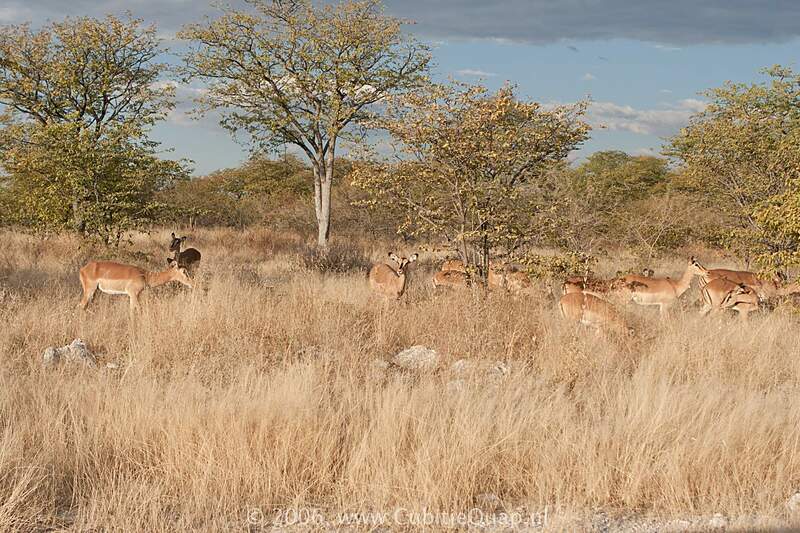 At first glance, the black-faced impala looks no different to the common impala, but it is a unique subspecies with slightly darker colouring and a purplish-black facial blaze. 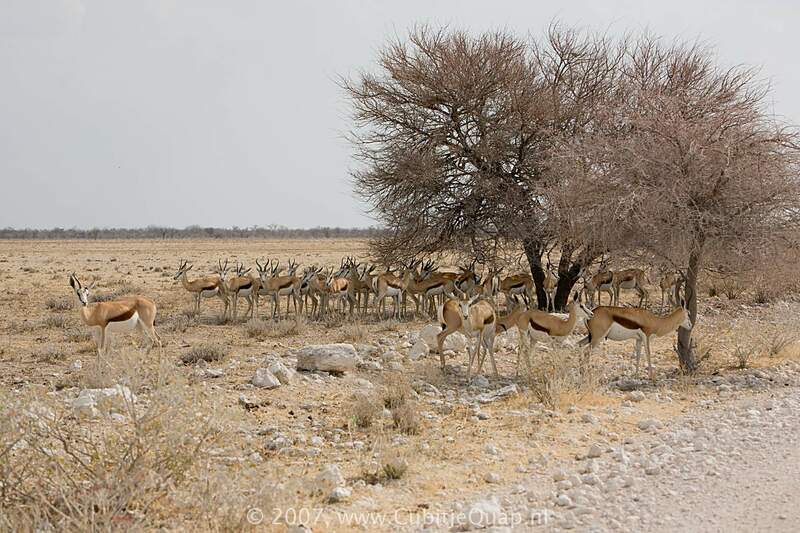 Very difficult to see outside Etosha, it is common around Halali and Namutoni Rest Camps. 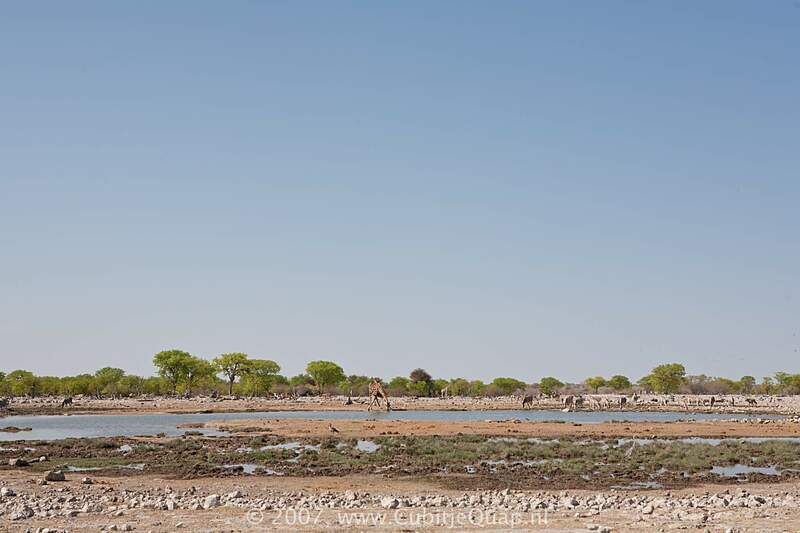 Near Namutoni, one of Africa's smallest antilopes, the Damara dik-dik occurs at densities of 90 every square kilometre - one of the densest concentrations of any small antilope in Africa. 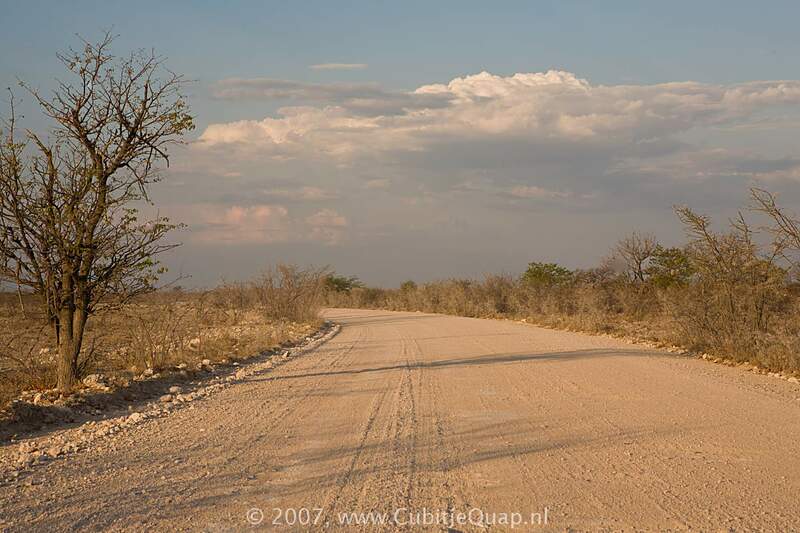 Along Dik-dik Drive (Bloubok-draai) they ignore vehicles, making this one of the best places to observe the monogamous pairs; they mate for life, so if you see one cross the road, be sure to wait for its partner to appear.